With over 1200m of climbing over a 100km course between two of the High Country's most loved towns, this one is a classic for strong legs...and strong of mind. * Climb past the Stanley Plantation and at the 10km mark, turn left then quick right on to Dederang Road where you'll see Mt Big Ben. * At 16.7km, turn right onto Tunnel Gap Road for your first decent descent. 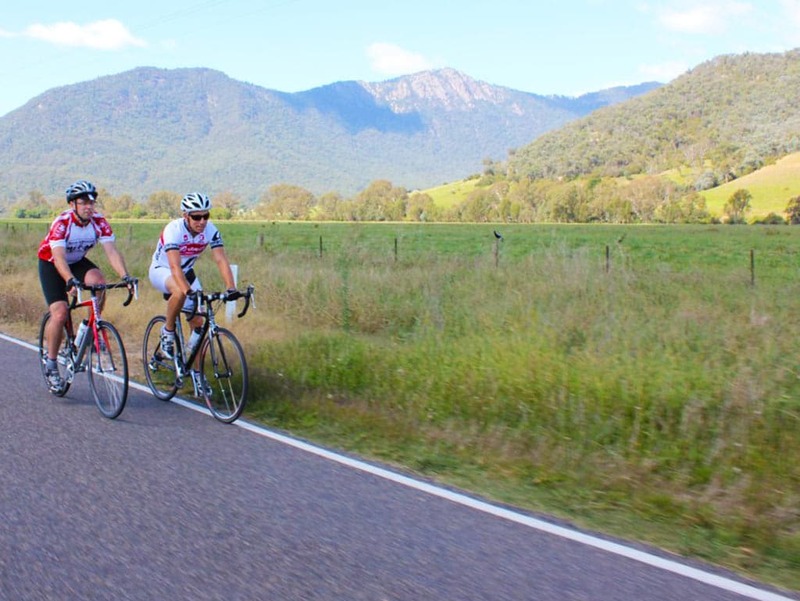 * At the bottom of the descent (25km mark) you'll rejoin the Myrtleford-Yackandandah Road, before turning left on Carrolls Road in Mudgegonga. Climb and then descend to Cross Happy Valley Creek at the bottom of the descent before turning right onto Happy Valley Road for a cruise along the valley. * Turn right onto the Great Alpine Road, or better still jump on the Murray to Mountains Rail Trail and head into Myrtleford to refuel. * Turn around and retrace your steps to Yackandandah. Remember to bring your climbing legs!